Hello! Hej! Bore Da! A warm welcome back to Global Chatter, Comtec Translations’ monthly round up of the most interesting news, views and ideas from the world of languages and translation. Each month, our talented translators keep their eyes peeled for the best blogs and online articles which speak volumes about the work we do and why we love it – all to give you a little extra insight into the translation process. This month, find out which is the ‘best’ language for translators to know, discover how the UK became the world’s third biggest online retailer, plus find out why proofreading is essential in translation. Which is the ‘Best’ Language? Thoughts on Translation’s Corinne McKay poses a rather controversial and impossible question in this great post from back in 2013. Fortunately, she quickly clarifies, narrowing the question to help her explain which is the ‘best’ (most in demand, most profitable, most enjoyable) language for translators to know and work in. The answers she offers are very interesting. From languages like Spanish which are in high demand but also well-serviced, to Japanese-to-English translation which is one of the highest paid translation combinations, and languages translators simply love because of personal affinity, there’s so much to learn about the translation world behind the scenes in this fascinating post. If you’re a regular Facebook user, you’ll know that for a while now the social media platform has been giving users the opportunity to “see translation” of text which is not in their default mother tongue. Now the social network is going even further to make its system seriously multilingual, giving users the chance to specify which languages they can speak, decide which languages they want to see translated and which they don’t, plus rate any translations they do use to help fine-tune the technology. Find out all about the new updates in more detail in this article by David Cohen for SocialTimes. You’ve shelled out for a translation – surely it should be word perfect? Well, think about this: if you were writing a highly-technical manual with complex terminology or a highly-creative marketing brochure that’s going to be printed and published, would you feel more comfortable having it looked at by someone else? Well – precisely. When it comes to translation, it’s impossible for you to proofread and double check the work which has been completed – which is why our proofreading service, carried out by a second translator with the same subject knowledge and experience as the original translator, is a very good thing to have. This interesting and informative post from Brightlines is all about this subject, helping readers to understand the whys and wherefores of proofreading – well worth a peek! 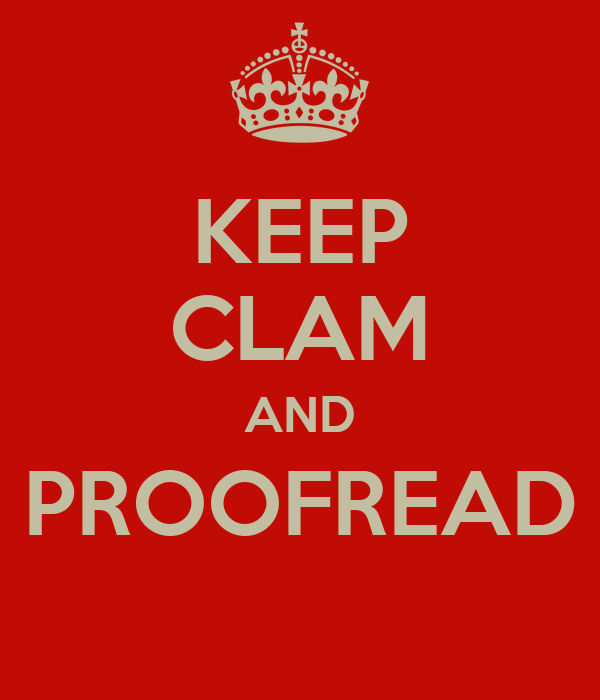 Do you get your translations proofread? What is your ‘best’ language? Share your thoughts and have your say below.